A walk amongst the trees is rejuvenating, nourishing and healing, yet a forest is so much more than an amazing collection of trees. There is a lot going on in the forests that we can’t see. Ecologist Suzanne Simard says trees have a sophisticated and interconnected social network existing underground. 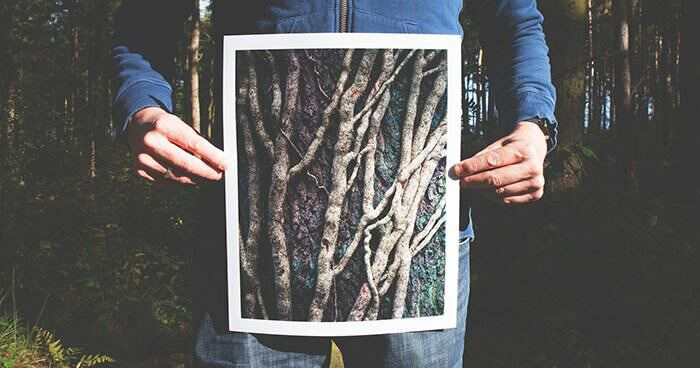 A world of infinite, biological pathways that connect trees and allow them to communicate, and allow the forest to behave as if it’s a single organism. Her 30 years of research in Canadian forests have led to an astounding discovery: trees talk, communicating often and over vast distances. Trees are much more like us humans that you may think. They are extremely social and depend on each other for their survival. Communication is vital, and a massive web of hair-like mushroom roots transmit secret messages between trees, triggering them to share nutrients and water with those in need. Suzanne grew up in the magnificent forests of British Columbia. She shares how she’d lie down on the forest floor and stare up at the crowns of the giant trees. An accident with her dog who fell into their forest outhouse and had to be dug out, led her to discover the incredible underground root and mycelial network she would later research. When she returned to the study of trees later in life, she learnt how scientists had just discovered in the laboratory, that one pine seedling root could transmit carbon to another pine seedling root. Trees talk, communicating often and over vast distances. This insight spurred her on to study real forests to see what happens there. Her idea that trees could share information underground was controversial and many of her colleagues thought she was crazy. Difficulties in securing research funding led her to conduct her own experiments and so she planted 240 birch, fir and cedar trees in a Canadian forest. She hypothesized that the birch and firs would be connected in their own underground web, but not the cedar. Undeterred by bears, she covered the seedlings with plastic bags, filling them with various types of carbon gas. She injected a radioactive gas into the birch, and then a stable carbon dioxide gas into the fir. When she ran a Geiger counter over the trees, she discovered silence from the cedar, and a loud sound of communication between the fir and birch trees who were sharing carbon with each other. She discovered birch sent carbon to fir, especially when it was shaded. Later the opposite happened, when the birch was leafless in the winter, the fir sent over more carbon. Science had always believed that trees competed with each other for carbon, sunlight, water and nutrients. 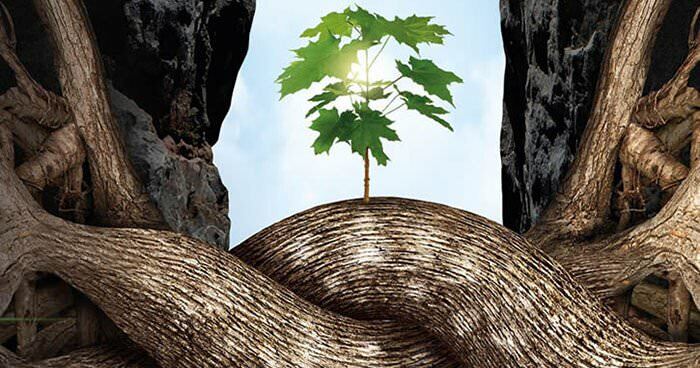 Simard’s groundbreaking work showed that trees are interdependent and cooperative, in fact they are immersed in deep relationships with each other. Trees converse by chemical and hormonal signals via a network of mycelium. The trees were conversing by chemical and hormonal signals via the mycelium. These messages determined which trees needed certain nutrients. They communicated via carbon, nitrogen, phosphorus, water, hormones and chemicals and then shared these elements, balancing the entire forest. The web is so dense there can be hundreds of kilometres of mycelium under a single foot step. 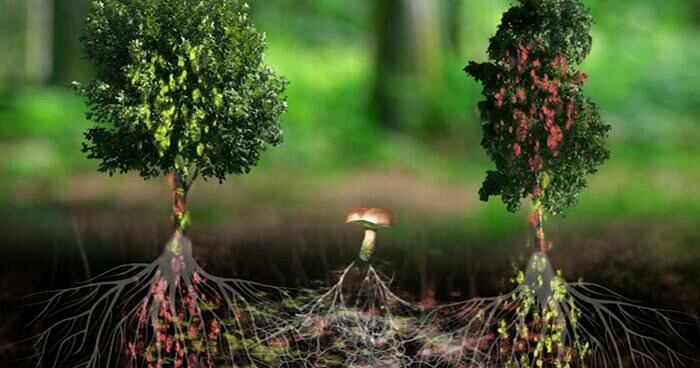 And the mycelium connects different individuals in the same forest, from the same species and other species. This network works in a similar way to the internet. She discovered that mother trees nurture the younger trees and that a single mother tree can be connected to hundreds of other trees. Trees talk, and through these conversations they increase the resilience of the whole community. It’s a magical community of trees all supporting each other. Suzanne’s research has important environmental implications for the destruction of our forests. She says that when mother trees are injured or dying, they send their wisdom onto the next generation, but they can’t do this is if they are all wiped out at the same time. She hopes that her research will change the way we practice forestry. Forests have an enormous capacity to self-heal. You can take out one or two hub trees, but there comes a tipping point, if you take out one too many, the whole system collapses. We are steadily weakening our forests, by clear cutting and planting only one or two species. This is having major environmental impacts. But there is hope. She says forests have an enormous capacity to self-heal. 1. We need to get out into our local forests more. 2. We must save old growth forests as they are the repositories of genes, mother trees and mycelium networks. 3. Where we do cut, we must save the ‘legacy’ mother trees and networks so they can pass their wisdom onto the next generation of trees. 4. We must regenerate our forests with a diversity of species. As more and more information comes to light about the complex relationships existing between trees, we are better equipped to save our forests and help them thrive. Scientists like Simard are helping us change our perspective so that we work in harmony with nature; something that could dramatically alter the trajectory of environmental disaster and bring harmonious outcomes for both humans and trees.